ABS-CBN Vs. GMA: Which Network Has The Better Christmas Video? Christmas in the Philippines is synonymous with many things: simbang gabi, missing godfathers, and dining indulgence (hooray for food!). In local TV, the holiday season marks the time when a network struts its stuff in the form of meticulously produced station IDs. 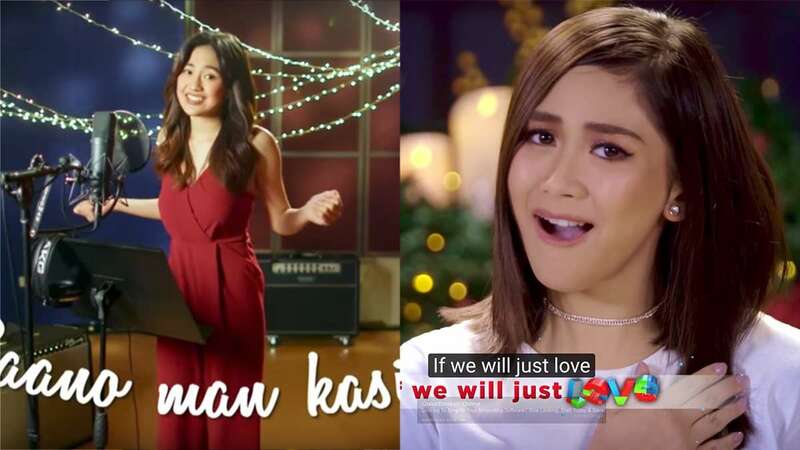 This year is no different—major channels ABS-CBN and GMA have released their respective yuletide promos, complete with a star-studded lineup performing a catchy tune a full month before December. What's better than Yeng Constantino, KZ Tandingan, and Kyla in one room? Gary Valenciano, Martin Nievera, and Ogie Alcasid in the same studio. Throw in Zsa Zsa Padilla for good measure; we almost forgot Erik Santos and Bily Crawford, among other talented singers. In the battle between matinee idols-turned-lead singers, Piolo Pascual gets the nod over Alden Richards by being the consummate leading man. Papa P is so sought-after that two of his on-screen partners joined him for this special gathering. GMA has Julie Anne San Jose, Mikee Quintos, Maricris Garcia, and Aicelle Santos, while ABS-CBN has Toni Gonzaga, Sarah Geronimo, Angeline Quinto, and Jona Viray. You can never go wrong with Toni and Sarah, but the fresh-faced Mikee wins this round for the Kapuso. Some burning questions about the chosen personalities: Since when did Ogie become a Kapamilya? Is this a subtle jab at La Diva's breakup? Julie Anne and Alden, who were once rumored to be dating and appear to have recorded their parts separately, was instant tabloid fodder. The essence of the holiday season is togetherness, and GMA could have gone above and beyond just gathering six artists—a measly (but still commendable effort) compared to 38 voices from their rival. Let's see if their actual program lineup can stack up against ABS-CBN's annual Christmas extravaganza.